Bt crops, the sibling to the herbicide resistant crops often maligned by anti-GMO activists, have not only reduced insecticide use in the U.S. but also have a food safety benefit: The reduction of mycotoxin contamination of crops, which can harm both humans and animals. Bt seeds are engineered to express the cry genes from Bacillus thuringiensis. These genes code for an insecticidal toxin which makes the crops resistant to certain pests. 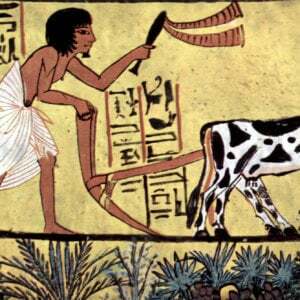 Farmers, most especially organic farmers, have been spraying the natural form of the bacterium for almost a century to great effect and with no measurable environmental hazards, as the toxin only interacts with targeted insects but not humans. “The benefit of Bt corn’s reduction of mycotoxin damage has been virtually ignored in policy debates anywhere in the world,” Felicia Wu, a Michigan State University food and nutrition professor, has noted. There are more than 300 known mycotoxins that have different effects on health. Mycotoxins can be produced by fungi, which absorb best into crops that have been damaged from pests. Contamination can occur either in field or in storage. In short, since Bt maize wards off the corn borer, reduced feeding damage allows less fungus to penetrate. Two of the most prevalent mycotoxins in agriculture are fumonisins and aflatoxins. Fumonisins are found almost exclusively in corn, while aflatoxins can be found on corn as well as cotton, peanuts, pistachios, almonds and walnuts. Fumonisins have been connected to high human esophageal cancer rates and neural tube defects in human babies, according to the University of Kentucky Agriculture Extension Service. They can also affect a number of animal species. Animals consume the toxins in animal feed, which can lead to fertility problems or diseases—leukoencephalomalacia in horses and porcine pulmonary edema in pigs. Increased exposure to aflatoxin can increase risk of liver cancer in humans, modulate human immunity and may contribute to childhood stunting, according to a 2014 paper by Wu. Bt crops also stand to have greater health impacts in developing nations, where higher rates of malnourishment and high exposure to mycotoxin due to little diet diversity can have more devastating effects, Wu said. 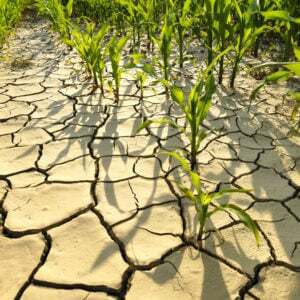 But genetically modified crops also face political opposition in some of the countries worst afflicted with aflatoxin exposure. 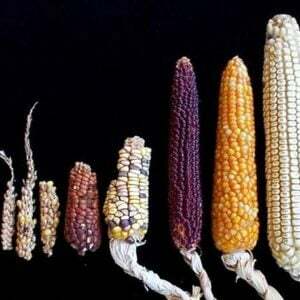 In Africa, only South Africa has adopted Bt corn on a wide scale. Use of Bt crops could also play a role in reducing contamination and economic and environmental losses. In 2011, 180 bags of maize were destroyed in front of starving farmers in Kenya because the maize had been contaminated with aflatoxin. Though recent numbers were difficult to find, researchers estimated in 2003 that economic losses in the U.S. due to aflatoxin contamination, ranged $163 to $500 million annually, depending on whether all crops and animal health effects are included. The International Institute of Tropical Agriculture estimates global losses of about $1.2 billion with African economies losing $450 million annually. Additionally, global trade between wealthy and less developed nations can worsen losses due to contamination when developing nations export their best food and sell contaminated food locally or when intended exports are rejected and wasted due to food safety limits on mycotoxins from other nations, Wu said. Additionally, Bt crops could be more environmentally sustainable. Numerous studies have shown the benefits of using Bt corn as a part of a strategy to reduce mycotoxin contamination, which would reduce waste. The University of Kentucky summed up field studies in the U.S. and Europe on furmonisin contamination, saying reductions have ranged from 20 to 90 percent, often bringing the grain below concentrations that pose risks to humans and the most sensitive animals. Aflatoxin reduction typically ranges from 50 to 90 percent when Bt corn is planted. In Europe, where Bt corn is the only approved GM crop, Andreas Schier of Nürtigen-Geislingen University in Germany is examining mycotoxin levels in maize using different variants, such as soil management, weed management with insecticides and growing Bt maize. This applies to three classes of mycotoxins: deoxinivalenol, fumonisins and zearalenone. There are some caveats. Reductions in mycotoxin are not certain. 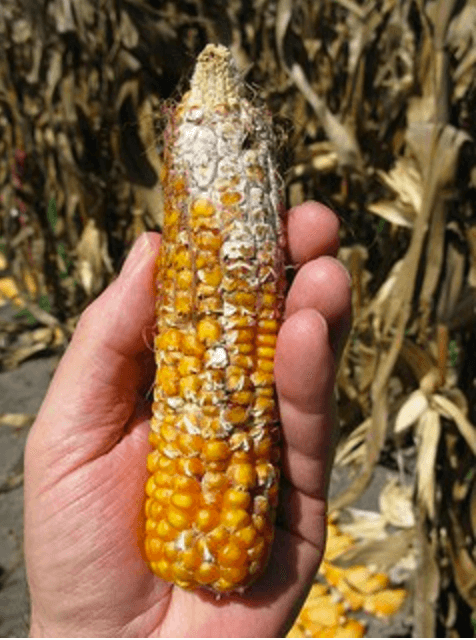 According to the University of Kentucky Extension Service, the Bt toxin must be expressed in the kernel of corn for it to provide reduced mycotoxin contamination. Genetic background of the corn hybrid can also impact the effectiveness, as can the insect pest that is present. For example, lower mycotoxin levels have been shown from feeding damage caused by the European corn borer but not the corn earworm. Schier also explained that weather conditions conducive to fungal growth can cause an increase in mycotoxins, as can farm practices, such as straw, soil management and timing of harvest. In developing countries, other problems exacerbate mycotoxin contamination including low-quality seed, lack of pest control and poor storage, Wu has said. Nonetheless, growing Bt corn could be a successful part of a strategy to reduce mycotoxin levels.